The French luxury house brings neo-retro and futuristic style at the same time. Futuristic look made Chanel sunglasses seem forged in space. They are Chanel sunglasses, sometimes sparkling as astronauts’ visions or hyper dark like alien eyes. Three different frames: mask, pilot and butterfly, are proposed with lenses that apply through magnets and make each model 2 in 1, becoming eyeglasses. Innovative and unique, they allow switching from one function to another at light speed. You can also find models with the most neo-retro features, in acetate, in pink, taupe, khaki and black leather, but also gold and silver. Rounded or oval XL forms for a preppy look. Hyper feminine timeless cat-eye, enriched by glass eyebrows, from the summer 2017 collection, this time proposed in a more square form. Tartarbells in acetate with 18 karat gold lenses for lovers of luxury varieties. Introducing the new CHANEL FALL-WINTER 2017/18 EYEWEAR CAMPAIGN featuring Luna Bijl and photographed by Karl Lagerfeld. 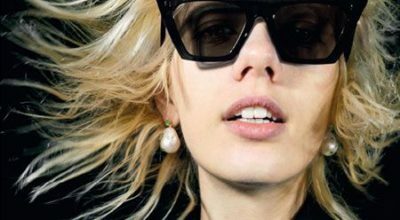 The Fall‑Winter 2017/18 eyewear campaign features the Chanel Pilot Fall Sunglasses, which are available several different styles and options, including metal frames, a polorized lens, mirrored lenses, and 5-6 color options with each style. The collection itself includes a good mix of optical frames and sunglasses that play on contrasts. Retro and futuristic; conservative and rock ’n’ roll while staying true to the Chanel code with a touch of modern elegance. Aviator frame is the most widespread model in the campaign. Remarkable for the black nylon thread wound round the arms — and a pair of butterfly optical frames with mirror clip-on shades. After a slew of campaigns fronted by girls born into celebrity (such as Willow Smith, Lily-Rose Depp and, more recently, Kate Moss’s younger sibling Lottie Moss). 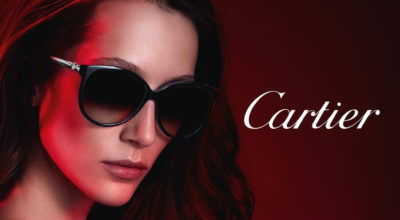 Chanel’s latest eyewear campaign with Luna Bijl feels like a breath of fresh air.